Here in Singapore, we have plenty of automotive services such as valet parking and mobile car cleaning/detailing, among others. However, being convenient services as they may be, it seems that you really have to be very careful when using this kind of local services. Don't let yourself be caught off-guard because of the convenience. Well, you can't guarantee that your car will always be taken care of by someone experienced for example, when you feel like leaving the nuisance of finding a parking space to the valet guys or when you want your car to be cleaned/detailed. In fact, even if the guy at your service is experienced, there's still no guarantee that things won't go wrong. 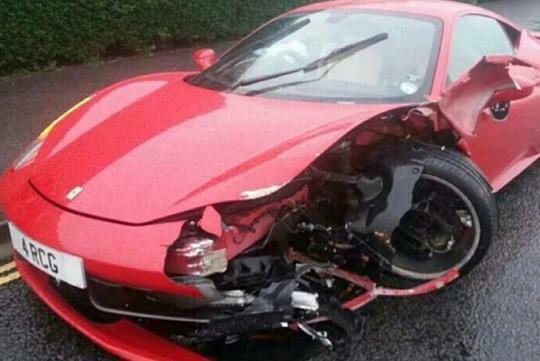 Recently, in Portsmouth, U.K., a customer's car was wrecked by a mobile car cleaner and, mind you, it was a Ferrari 458 Italia! Ironically, it wasn't the first time the customer used the cleaner's service. Well, the wet road on that day might be partially responsible for the crash. However, I wonder if the cleaner was trying to 'air dry' the car by going for a joyride around the corner and subsequently crashing it. Well, just so you know, it isn't a hard thing at all to lose traction of your car, especially if it's a supercar, coupled with the wet surface which is slippery. 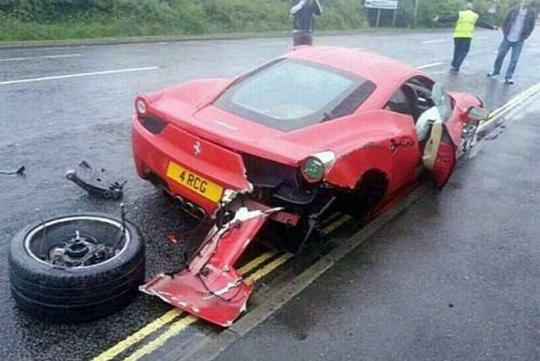 Perhaps the traction control of the red Ferrari was somehow switched off, too, at that time. Well, having had to suffer from such a super expensive incident, I'm not too sure if the customer will use the service of the mobile car cleaner in question ever again. And it seems that there are times when we need to use our own hands if we want something done right. Its just a minor dent. Can just polish it out.